One of the biggest challenges for any data-centric organization is in understanding the type of data that exists and knowing how best to manage it. When document classification is done incorrectly or not done at all, a variety of possibilities emerge that threaten network security and smooth business operations. Wide permissions on documents open the door to fraudulent activity, and conflicts between the business and IT side of an organization about how to handle certain types of data can cause ... See More further problems that increase vulnerability to attacks and data breaches. This is where DocAuthority can help.By creating an automatic inventory of all organizational data with 99.9 percent accuracy and identifying unprotected sensitive documents, consistent document classification and network security concerns are taken care of in a way that allows business processes to continue uninterrupted. 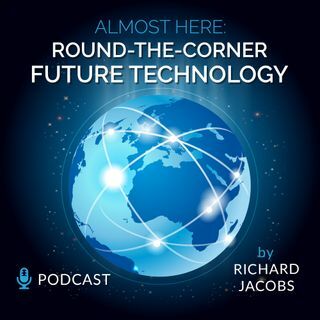 As the CTO and founder of DocAuthority, Ariel Peled joins the podcast to discuss the ins and outs of the products and solutions they offer, as well as new products and initiatives on the horizon. Tune in and visit docauthority.com to learn more.